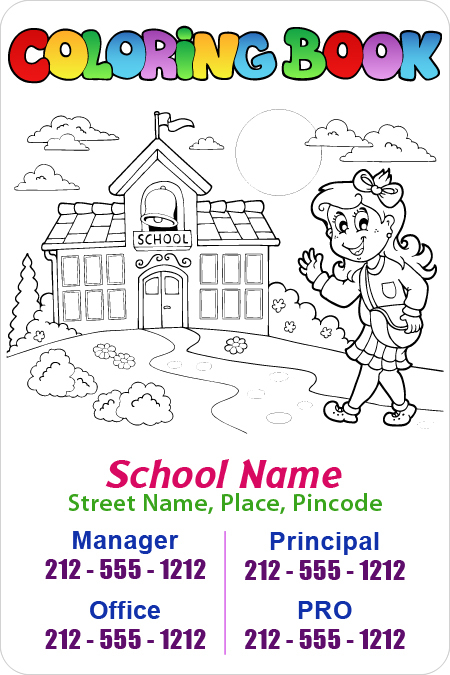 A promotional 3x4.5 square corners color me school contact magnet can be preferred for promotions by study institutions targeting young kids such as elementary schools, play schools, day care, kindergarten schools, etc. A custom 3x4.5 square corners color me school contact magnet snaps easy acceptance from parents because kids never really grow out of them. As, small kids may not be old enough to understand about the brand or importance of the school place, still this magnet will slowly conquer their minds with its uniqueness. 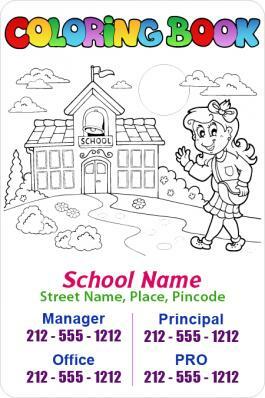 A personalized 3x4.5 square corners color me school contact magnet can be handed out to parents or kids during special school occasions or at the time of admissions.